When a marriage ends a series of stressful events occurs: custody of children and/or pets, new living situations and decisions about property and finances. This difficult time causes a large amount of emotions and stress and it can be difficult for spouses to understand the legal processes of divorce and may even impair their judgment to make good decisions. Getting through a divorce can be much easier if you are prepared for it and are informed about the process of divorce before you even get started. When you go through a divorce, your life changes in ways you probably never expected. Selling your home and moving elsewhere can occur. If something this big is about to happen as a result of your divorce, take a step back and resist the urge to make a fast, quick decision just so you can move on. If your divorce is about to take a turn for the ugly, you need to understand that you can’t “beat” your spouse in court. There is seldom any winner in divorce, especially if children are involved. 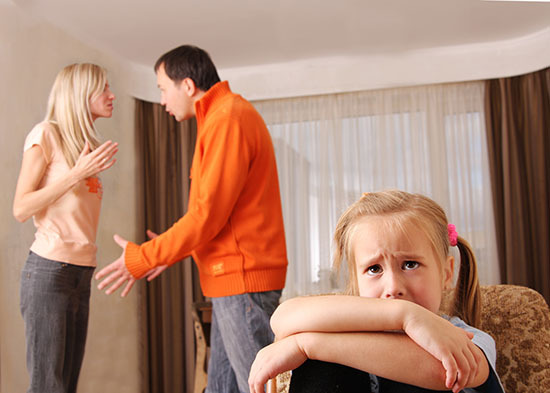 A typical divorce involves issues such as child custody and support and the division of property. Most often, neither spouse ends up with everything they want. Trying to be the “winner” is a lost cause and can lead to hurt, hate and anger. Instead of going down that path, try to be civil. One thing to remember in a divorce case with children involved is that you and your spouse are getting divorced, your children aren’t. It’s easy to get wrapped up in the blame game with your partner and say cruel things in front of your kids. Remember, it may make you feel better but your children will remember those words for a very long time. If you cannot get along, communicate through family members or email and text but never in front of the children. They didn’t ask for this and it isn’t there fault. Your fighting may make them feel that way. It is essential that you provide your attorney with all the facts so that they can analyze your case properly which, in turn, will give you the best advice possible. Even if you hide something from your attorney, the facts could come out anyway, so why lie? They are on your side and are there to advise and help you. If you are in the process of filing for divorce and are looking for a reputable divorce attorney in Philadelphia, the legal team at Martins Mill Legal Center can help you get through this difficult time. They are trained in the legalities of divorce and can help you and your family make important decisions and enter a smooth transition for all involved. Martins Mill Legal Center services all of Philadelphia.